Back in 1985, while the rest of the world was investing in DeLorean Motor Company stock or trying to skateboard while hanging onto a moving vehicle, Keith Alper and Steve Friedman were creating an event production company in St. Louis, MO. Creative Producers Group evolved to become a world-class meetings and event agency – a one-stop-shop for Fortune 500 companies that wanted unique, live experiences to communicate their important brand message. But while Creative Producers Group was helping shape the brand experience for their clients, they were also hard at work evolving their own brand and, in early 2016, refreshed their brand identity as CPG. More than just a name change, it was a new way of thinking about business. Everything starts with your people. From communicating your brand message to connecting teams through impactful events, you need buy-in from your people. CPG uses a variety of channels to motivate and inspire action across entire teams, cascading the message from leadership to the front lines. These internal audiences – sales teams, franchisees, managers, dealers, etc. – serve as critical brand ambassadors who must first embrace corporate initiatives and messaging to ultimately impact consumer engagement and act as agents of change. As an internal engagement agency, CPG helps connect your people and grow your business. CPG utilizes live experiences, internal engagement and leadership development strategies to inspire your brand to take action. These impactful ideas will not only drive business but they’ll also help you cultivate stronger leaders, inspired managers and motivated team members. Our blog will help outline some of the best practices and insights that will help connect your people and grow your business. 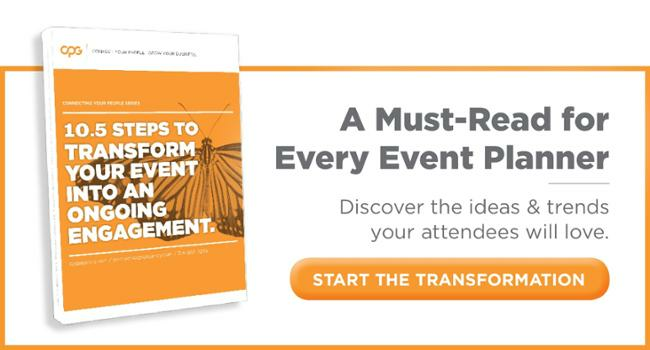 If you’re ready to transform your event or engagement into an ongoing experience, check out the top 10.5 ways to get started!